Here’s the Top 3 Most Popular Stoves by demand in 2014, compiled by Boyhill Cookers. They are all great stoves without a doubt, and we stock and supply many more make & models that are also superb investments, but someone has to be at the top. Top of the list this year is the Morso 1410. 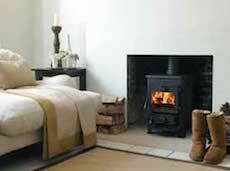 This is a classical radiant multi-fuel stove which will quickly and effectively heat your small rooms. 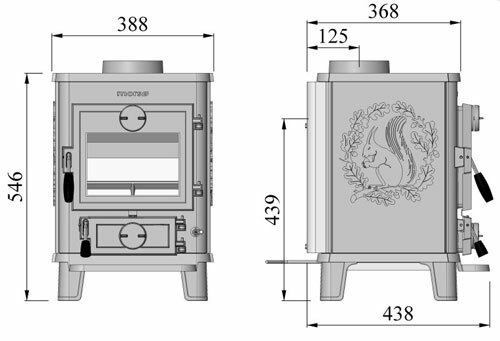 This traditional stove is decorated with Morso’s classic squirrel relief on both sides of the body. 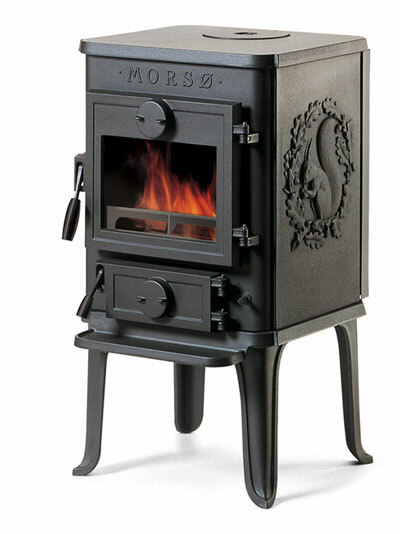 The Morso 1410 is a small universal cast-iron stove that can be used with different types of fuel including wood, briquettes, and smokeless fuel. It is perfect for small homes, holiday homes, and even narrow boats with smaller heating needs. The stove is a powerful heat source, it fires up quickly and will heat up to 75 square metres of living space. It is worth noting that it runs on Multifuel (manufactured smokeless fuel) and is Dark grey in colour. External Maintenance – The Morso Squirrel is painted with heat-resistant paint which may need to be touched up sometimes. Internal Maintenance – The glass at front of the Morso 1410 can be cleaned using an appropriate glass cleaner – Avoid overloading with wood. 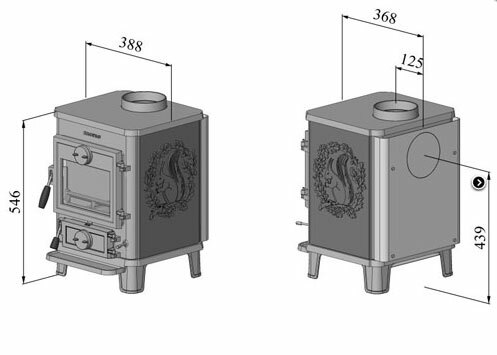 The internal parts to your stove such as the baffle plate and shaking grate are constantly exposed to the fire when the Morso is lit. 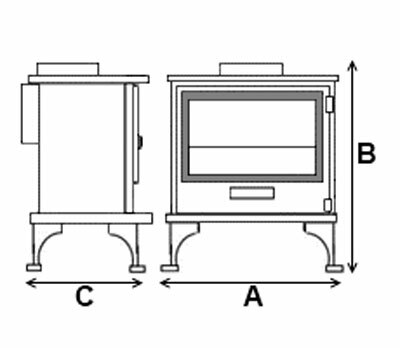 The firebricks in the stove will naturally wear down over time. All internal parts to the Morso 1410 are easily replaceable, and if problems are spotted early then excessive damage can be avoided. With regard to the gaskets, the rope seal will eventually become less air tight (from natural wear), and will need to be replaced. 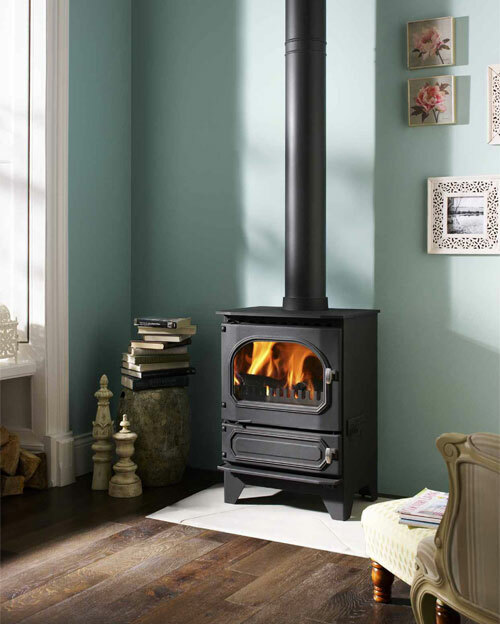 The Hunter Herald 14 flat top is a high output multi-fuel stove. 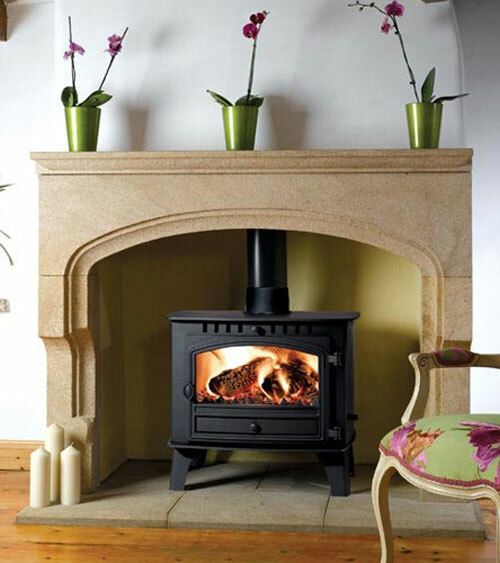 The Herald 14 is comes as a single plain door stove but it is also available with double doors. This is a stove that puts out some serious heat. 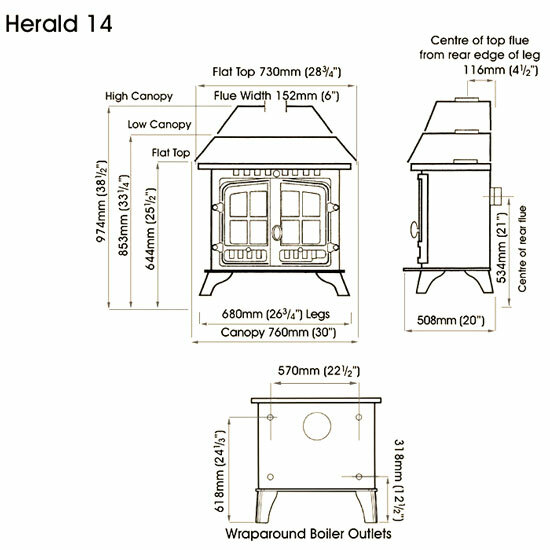 The Herald 14 is the largest of the Hunter Herald stoves. The boiler model, which is actually the second place winner has a wraparound 13kW back boiler – which is enough to power your hot water and lots of radiators too. There is the optional extra of crosses on the doors for the double door model if you want the more traditional look. The Hunter Herald 14 does not come with a thermostat, but it can be purchased as an optional extra. After a few horrible winters with a poor performing esse wood burning range cooker we decided to take it out and sell it the money we got for the stove that cost us £4,800 pounds we sold for £1200 pounds and then we looked around and decided to buy a Hunter Herald 14, the best stove that we have ever had. When lit it we are red hot in the house, it powers 14 radiators with no problems, gets the water as hot as kettle, looks nice and they aren’t over priced. A few weeks after installation we liked it so much that we bought another for our living room with out a boiler and that alone is a brilliant stove. I would recommend anyone who wants a stove that isn’t over priced, will keep you warm all winter and is cheap to run it will burn anything you put on it to go and buy a Hunter. The best investment I’ve made! I have had this stove for a couple of years now and it does what it says on the packet. I can get lots of fuel into it, keep it in overnight, and it heats the whole house as I have a backboiler on it as well. I have the Herald 14 flat top, one door with plain glass version which looks a bit more modern. The finish is pretty good although I would perhaps not put it in a show home. 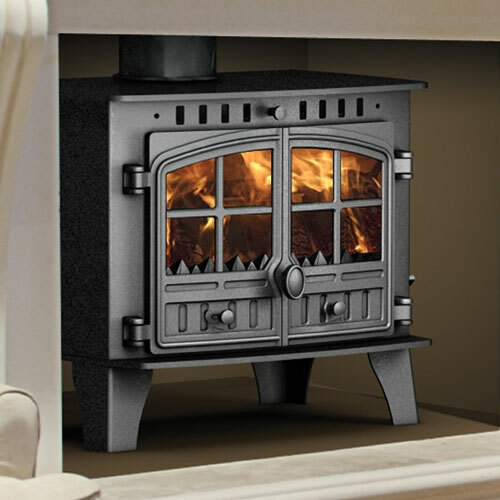 The Hunter Herald central heating stove comes with a factory fitted 13kW back boiler. This is a boiler stove with a serious output to water that can power the hot water and heating for a whole house. The Herald 14 is also available with a clip in 7.7kW boiler. An optional thermostat is available plus a choice of flat top, low canopy, high canopy, wood burning, multi fuel, 2 door, 1 door, plain door or filigree door. Third place is taken by the Dunsley Highlander 7 – This gem is a medium sized multi-fuel stove with a traditional look and feel. For many years Dunsley dealt mainly in the manufacture of solid fuel open fires, boilers and gas fires, however, they have now produced some fantastic Multi-fuel and woodburning stoves. The Highlander range of Stoves has been recognised as a market leader in its use of ‘Clean burn’ technology. 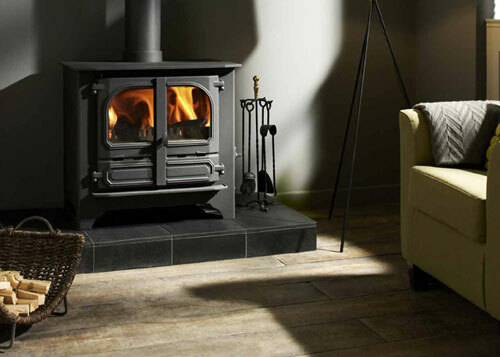 All their stoves are manufactured to the highest standards, in the UK, and using the most relevant methods and the highest quality materials and components. This is a really good value fire,the only problem for me is that I should have bought the bigger model but had no room to fit it! 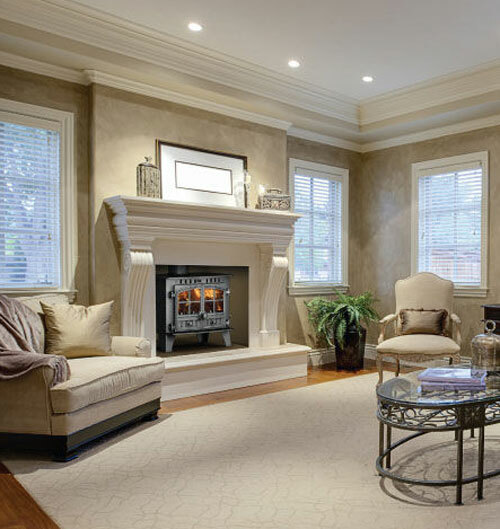 ,the efficiency and heat output is magnificent,we often need no other heat source on the ground floor of our 4-bed detached house. After a year we needed to replace the glass seal as we used the fire 24hrs a day and this was really easy to replace. The service from Dunsley was second to none and we highly recommend the company. The Highlander 7 meets the relevant British standards for the whole of the UK and has been developed using the best burning technology to give you a stove with a clean burn and high efficiency. The Highlander 7 can burn logs up to 360 mm long or any other solid fuel including peat, coal, coal briquettes and all HETAS approved smokeless fuels. An automatic door safety device is fitted which prevents the bottom door opening before the top door is open. This prevents serious over firing when removing ashes from below the grate. A matching canopy is available on request. The Highlander 7 is also available with top or rear flue outlet. OK, that’s it for the top 3 multi fuel stoves. We hope you found these reviews useful and informative. 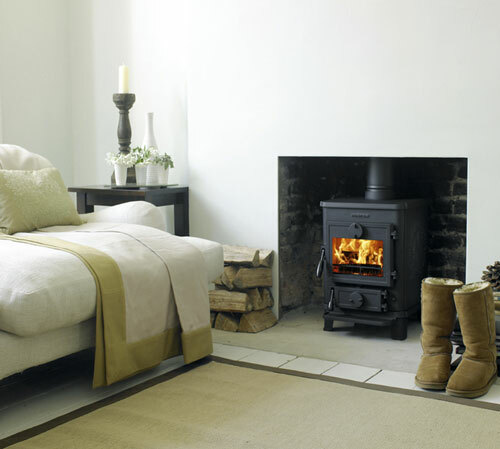 Remember, we can provide you with any of these top selling stoves, and install them for you. 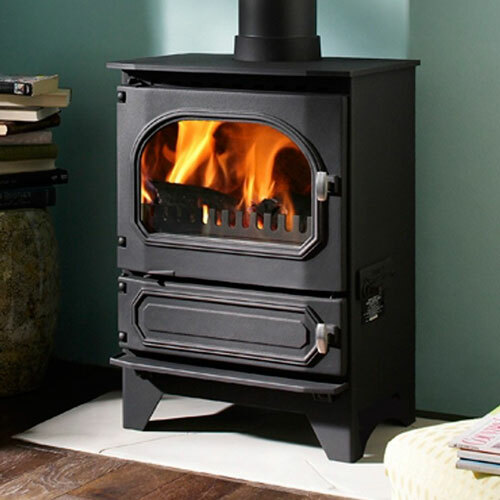 We also have a broad selection of stoves with back boilers, and both modern (contemporary) stoves and traditional as well as insert stoves available in store, so do drop by if you can. 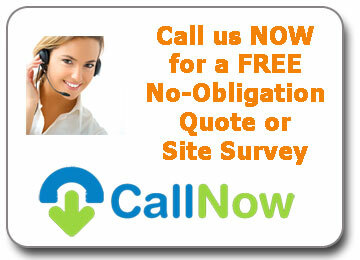 Hiring an installer that may NOT be fully trained and competent to install your stove or cooker is extremely risky. Your solid fuel or wood burning stove installation costs could get out of control and end up being a lot more than you bargained for! Is it really worth the risk?